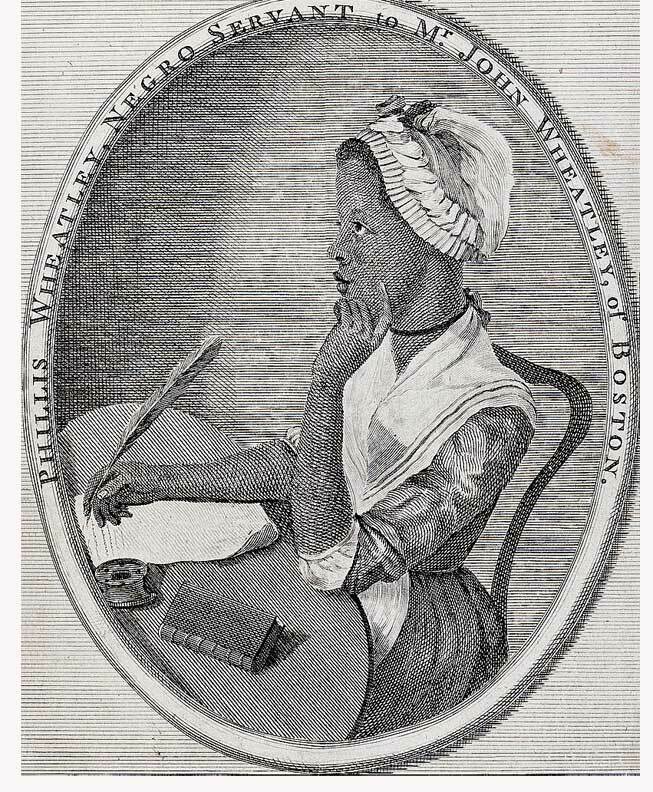 Wheatley, Phillis (1754-1784): African-American poet: Born in West Africa, Wheatley was brought to North America and sold in a slave market in Boston at the age of six or seven. John and Susannah Wheatley, her owners, originally intended to train her to be a domestic slave, but decided to educate her at home with their children. She was a gifted child, and this soon became apparent. Wheatley wrote her first poem, "To the University of Cambridge," in 1767, and her work commemorating the death of George Whitefield was published in 1770. The Wheatleys made great attempts to foster her literary talent, and she became an internationally-known poet by the time she was 20 years old. Her works were read across the American colonies, and were published in London, which she visited in the early 1770's. There she was under the patronage of the British philanthropist the Countess of Huntingdon. Members of the emerging abolitionist movement in America often referred to Wheatley as evidence that Africans and African-Americans were neither inferior nor congenitally stupid and lazy, contrary to popular belief. Benjamin Rush cited Wheatley in his 1773 Address to the Inhabitants of the British Colonies in America, Upon Slave Keeping, although this led Thomas Jefferson to assert that "the compositions published under her name are below the dignity of criticism." Although Wheatley was a devout Christian and strong supporter of the patriot cause, she never used her poetry as a platform to speak against slavery. In fact, her beliefs and the central themes of her poetry were hardly helpful to the abolitionist cause, since she often wrote about her thankfulness for having been rescued from the spiritual "darkness" of Africa to the supposedly Christian "light" of North America. In 1778, Wheatley married John Peters, a black lawyer, and had three children, although two of them died at an early age.